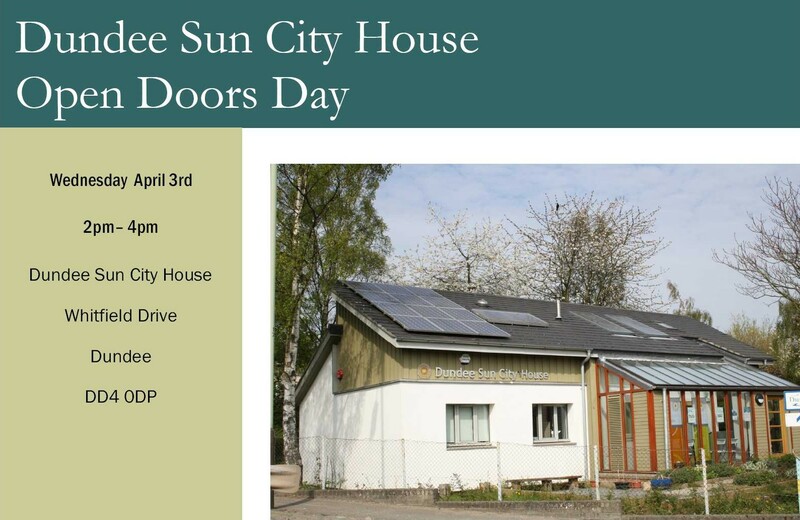 Today was the first of the two Dundee Doors Open Days of 2014 and, if you did not manage along today, the programme is running again tomorrow. You can read more here – including links to the venues. Amongst the West End participants is Jericho House – pictured earlier today (below) complete with banner! Doors Open Days give you free access to hundreds of fascinating buildings across Dundee. On September 13th and 14th, for one weekend only, you can explore places that are normally closed to the public and this includes a number of buildings in the West End. This is your chance to discover the architecture, design, buildings, places and spaces right on your doorstep. The Dundee Doors Open Days 2014 programme is available to view here. You can also follow the Doors Open Days Dundee Facebook page to keep up to date with new venues joining the programme. Dundee is again taking part in Doors Open Days next month, a great opportunity to visit fire stations, factories, castles, churches, laboratories, libraries, pubs and pools – just some of the Dundee landmarks that will be participating. Across the city, hundreds of people will be granted access to fascinating buildings not normally open to the public as well as taking part in events, tours and talks for all ages. 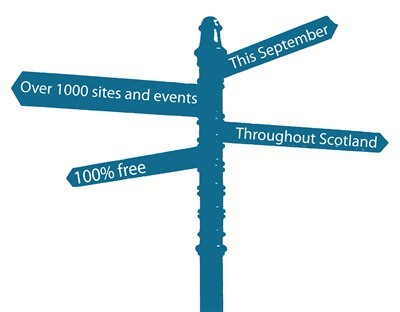 Taking place on 14th and 15th September, some of the West End participants include Blackness Road Fire Station, Dundee Central Mosque, The Rep, Maggie’s Centre, various University of Dundee buildings including the Zero Energy Building, D’Arcy Thompson Zoology Museum and a new walking tour, and the Vine. You can download a high quality PDF with more details about this event here. Open Doors Day as part of the Dundee Science Festival sees the University of Dundee College of Life Sciences giving visitors the rare chance to experience some of the cutting-edge research being carried out in Dundee. Taking place between 10am and 4pm, you can read more about this event at http://tinyurl.com/lifesciencesopen. The Yusef Abubaker Memorial Trust is holding its winter fair at 11am today at Harris Academy, with numerous stalls including cakes, arts and crafts, raffle and hand-made jewellery. 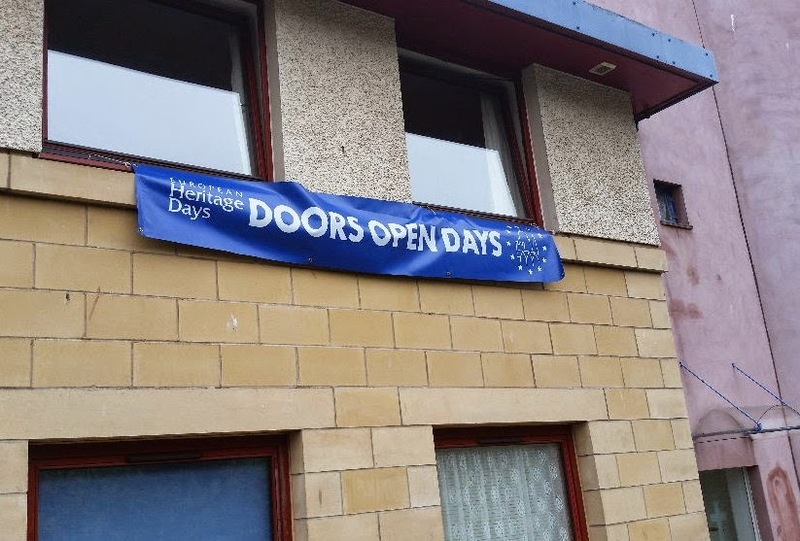 Doors Open Days takes place in Dundee on 22nd and 23rd September and there’s many interesting local buildings to visit, some of which are not normally generally open to the public. In the West End, in addition to various University of Dundee buildings, Blackness Fire Station, Dundee Central Mosque, Dundee Rep, Maggie’s Centre, Verdant Works, St Peter’s Free Church and the Speedwell Bar, there’s a number of new West End participating buildings for 2012 – Dundee Dental Hospital and School, Jericho House and the Vine. 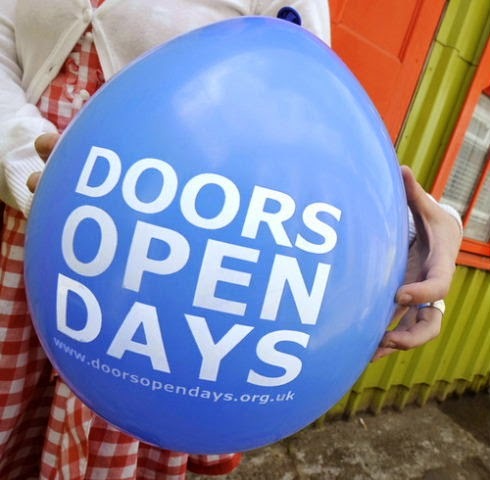 The Doors Open Days website is at http://www.doorsopendays.org.uk and details of Dundee activities is available by clicking here. Dundee Doors Open Day takes place this Saturday – 18th September – and it is good to see so many West End buildings included – such as Dundee Central Mosque, DCA, Maggie’s Centre (pictured), St Peter’s Free Church, Tayside Fire & Rescue’s Headquarters, various interesting buildings across the University of Dundee campus and the Institute for Medical Science and Technology in Wurzburg Loan, south of Ninewells Hospital. You can see the full details by going to http://tinyurl.com/dundeedoors.